Aries Events Pvt Ltd, formerly known as Aries Events Pvt. Ltd. is a highly professional company involved in organizing Trade fair in India & Abroad. 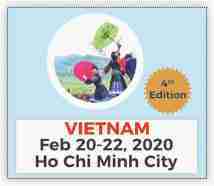 AEPL is committed to put forward all its resources and professional inputs to make the EARTHCON 2019 Exhibition noteworthy & fruitful. AEPL have the requisite strength, experience and capability to plan the event to optimize business gains for the participants. We can proudly justify this claim because we are in this business since last 20 years. With Expertise Aries Events Pvt.Ltd. is organizing 12 – 15 Trade Fairs a year at Ahmedabad, Raipur, Indore, Delhi, Guwahati, Kochin, Pune.etc. With the country currently growing at 7.6% GDP and a vision of adding 2% to the GDP of the country through infrastructure, the Government of India is on an ambitious project to overhauling the country’s infrastructure. Towards this, the government has embarked on a large initiative to accelerate infrastructure growth in the country. Inviting Trade Professionals from all over India. AEPL has access to more than 10,000 quality trade professionals from all over India and specifically from Gujarat to promote and display your latest products and services. Opportunity to deal directly with Builders & Developer, Minning Professional, Architects, Civil Engineers & Contractors, Business People and End Users from across India. Avail the benefit of attractive business opportunities at the spot by connecting with key visitors having purchasing authority from within industry. Make your Business visible to key Government decision makers looking for bidders to take part in the multi-Million Rupees Construction Industry of Gujarat State. Promote your Construction Products and Solutions to main corporate decision makers who are the largest buyers. Innovative construction products by hundreds of international and domestic exhibitors. Learn latest trends and engage with manufacturers and suppliers directly. Connect with construction professionals: from exhibitors, distributors to key buyers and industry figures. Gain access to local market dynamics, investors, and niche providers that enhance product offerings. EARTHCON 2019 will be most cost effective opportunity to meet with the largest number of sellers from the region. Keep yourself updated about the latest trends, products and technologies of the Industry. Grab the special deals and discounts offered by the exhibitors on the spot. Acquire in-depth knowledge of planned and current construction projects being carried out in the State. Aries Events Pvt Ltd , (AEPL), Block-A, 812-813, Dev Aurum, Anandnagar Cross Road, Prahlad Nagar Road, Ahmedabad-380015.